We are writing this letter to update you on the progress we are making after the event that occurred on the 14th of January 2019. You may have heard various comments about this event being an exit scam but rest assured we are 100% committed to reopening the exchange, bigger and better and to continue trading. On the 14th of January 2019 we noticed several suspicious transactions and placed our site into maintenance to prevent additional funds from being compromised as best we could. We notified local and international law enforcement agencies of the matter and our offices were locked down and the site was only accessible to a very small number of staff and law enforcement agencies. We complied with all requests so as not to tarnish the scene. As a result, many of our staff were sent home on full pay and our systems were inaccessible. We were given access back to our site on the 14th of February 2019. This was the first time since the event that we could begin to assess the impact. We have a comprehensive plan in place to get our exchange back trading. This however is quite labour and time heavy as we are effectively rebuilding our service from the ground up again. Since having access returned we have made significant steps to resuming service. Read only site: The read only site is now live, it shows balances as at the 14th of January 2019. Please use this site to reset passwords and 2FA credentials. Cancel orders: We are aware of market volatility in Crypto. The ability for users to cancel their standing orders is also live now. The API is still disabled, so you will need to cancel your orders through the website. Updates on twitter: We are continually updating our Twitter page with updates on our progress to go live. Please be wary of fake Cryptopia accounts on twitter, our official handle is Cryptopia_NZ and our page can be found here. No new funds to be deposited: As a result of the new wallets please immediately refrain from depositing funds into old Cryptopia addresses. If you held balances in coins that were lost in the event you will start to see Withdraws on your account for those coins. The TXID for the withdraw will not exist on the network but will detail how the coin was impacted in the event. For each withdraw you will also see a subsequent deposit of Cryptopia Loss Marker(CLM), the TXID for this will also not exist on a network but will detail the coin it represents a loss for. CLM is not a coin, it can't be traded as yet, it is just a number in the database that represents the loss for each coin for each user in $NZD at the time of the event. There are still steps to take to ensure we are taking a legal path toward reimbursement. We will be emailing you again shortly with more details around the rebates and the projected dates for trading to be active again. Please be aware, we are hoping to achieve this by the end of the month. On behalf of the leadership team and all staff at Cryptopia, we want to thank you for your unwavering support. 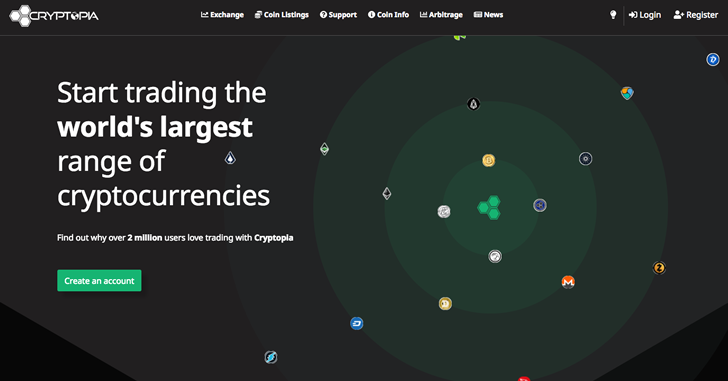 Cryptopia aims to be a transparent and honest exchange, with the greatest customers in the world. [ex-jp-BITPoint] [campaign-bitpoint]No tags for this post.